The identification of obesity-associated genes has been a growing area of research over the last two decades, altering our understanding of obesity. A new study broadens our understanding of genes’ role in obesity by targeting body-fat distribution. Specifically, the researchers present the first association of body-fat distribution, assessed by waist-to-hip ratio (WHR) adjusted for body mass index, with low-frequency and rare genetic variants. The new study from the Genetic Investigation of Anthropometric Traits (GIANT) consortium identifies multiple genetic variants associated with how the body regulates and distributes body-fat tissue. 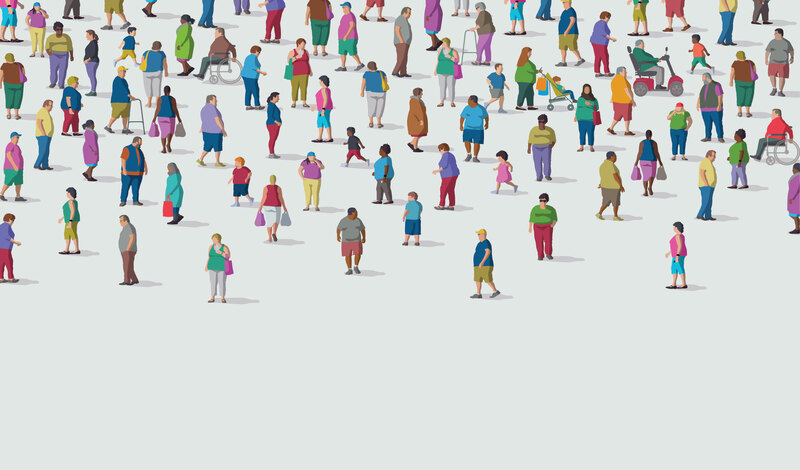 The GIANT Consortium is a major international collaboration of more than 275 scientists that seeks to identify genetic sites that affect human body size and shape, including height and measures of obesity. Identifying genetic variants associated with obesity is central to developing targeted interventions that can reduce the risk of chronic illnesses, such as hypertension, type 2 diabetes, and heart disease, to which obesity contributes in significant ways. Genome-wide association studies previously identified 49 loci where the related genetic variants are located, that predispose individuals to a higher WHR. Lower values of WHR are associated with lower incidence of these diseases. Further analysis revealed pathways and gene sets that influenced not only metabolism but also the regulation of body fat tissue, bone growth, and adiponectin, a hormone that controls glucose levels and breaks down fat. The team also performed functional studies across other organisms and identified two genes that were associated with a significant increase in triglyceride levels and body fat across species. In functional follow-up analyses, specifically in Drosophila RNAi-knockdowns, the researchers observed a significant increase in the total body triglyceride levels for two genes (DNAH10 and PLXND1). This could lead to a better understanding of how obesity causes downstream diseases such as type 2 diabetes and cardiovascular disease. “A better understanding of the genetic underpinnings of body fat distribution may lead to better treatments for obesity and the cascade of downstream diseases obesity also impacts, for example, type 2 diabetes and heart disease,” North said.